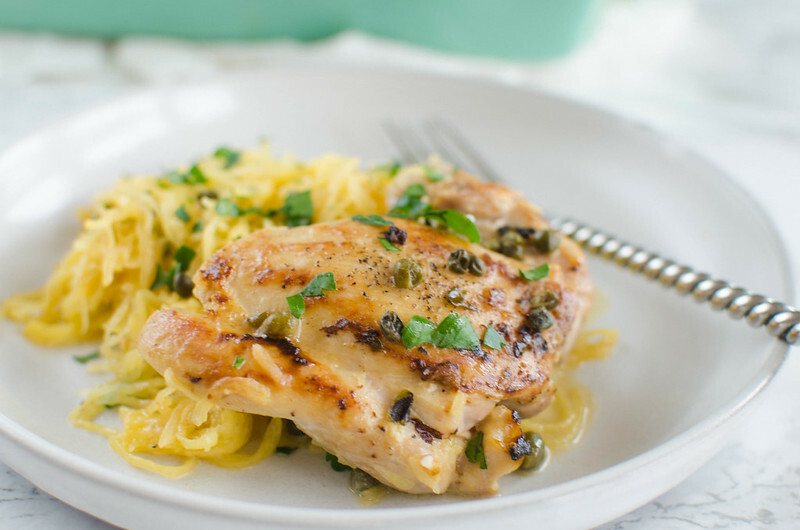 Paleo Chicken Piccata – chicken thighs with a delicious lemon and caper sauce, served over spaghetti squash. You’re going to love this healthier version of the classic! This Paleo Chicken Piccata recipe was originally published on Food Fanatic which is why I’m talking about spring like it’s not the middle of April. 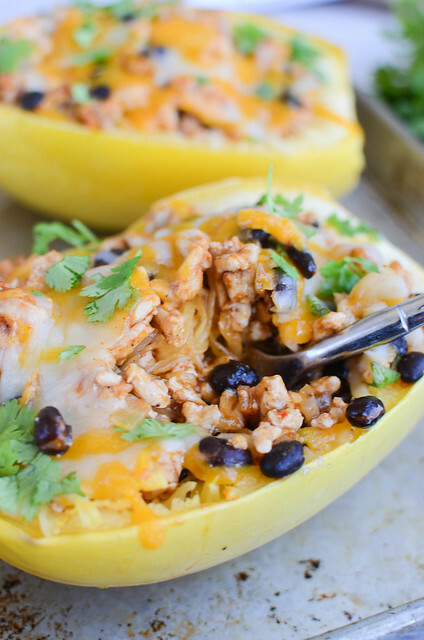 This recipe is a year round favorite though so add it to your dinner rotation soon! We are all ready for spring now, right? I’m so done with the heavy stews and slow cooker meals, and I’m ready for light and fresh. Chicken piccata is one of my favorite spring time meals – it just screams spring. Fresh lemon juice and so much green on top? Definitely the kind of meal to transition to spring with. 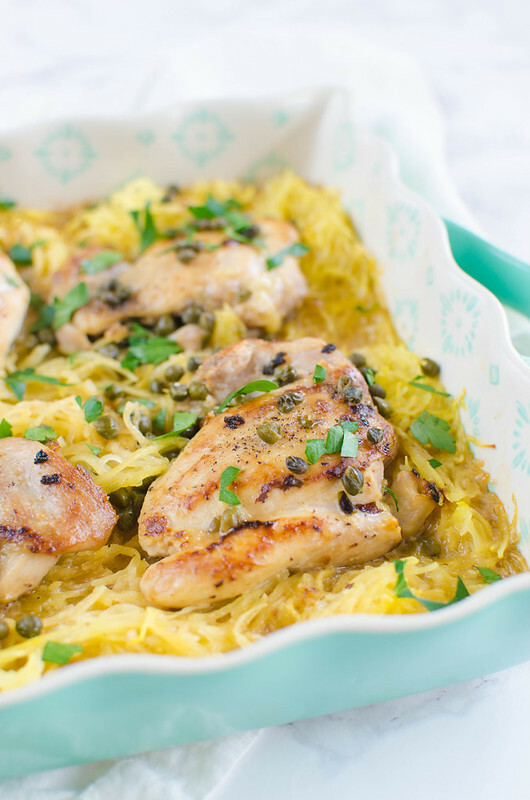 This paleo chicken piccata is so close to the original. The only thing you really have to remove is the butter and wine. So, coconut oil instead of the butter – and if you enjoy ghee in your diet, I highly recommend using that, but the coconut oil is just as delicious. In place of the wine, I used full fat coconut milk which also adds a little richness and creaminess that you may miss since you’re skipping the butter. Make sure you get a canned coconut milk that’s only ingredients are coconut milk, water, and guar gum. And it will probably be separated when you open it, so I usually just quickly throw it in the blender to get everything combined. Then you add capers because what is chicken piccata without capers? I mean, if you hate capers, leave them out but does anyone actually hate capers? I also put it on top of spaghetti squash because everything is better on top of spaghetti squash. And to make things really easy I just seared the chicken and placed it on top of the spaghetti squash in a casserole dish. Poured the creamy lemon garlic sauce on top with all those delicious capers and baked for about 20 minutes until it was done. Sprinkled it with some fresh parsley and it was absolutely stunning. This is the kind of meal that you could totally prep on the weekend and separate into containers to take to work during the week. Throw in some roasted broccoli or asparagus on the side and you’ve got a delicious, healthy meal. 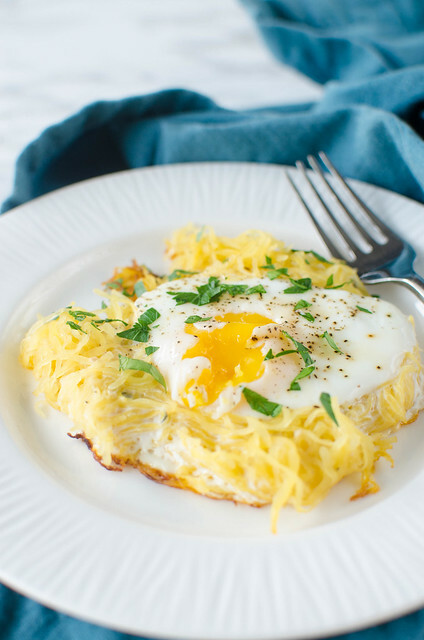 Want more recipes with spaghetti squash? 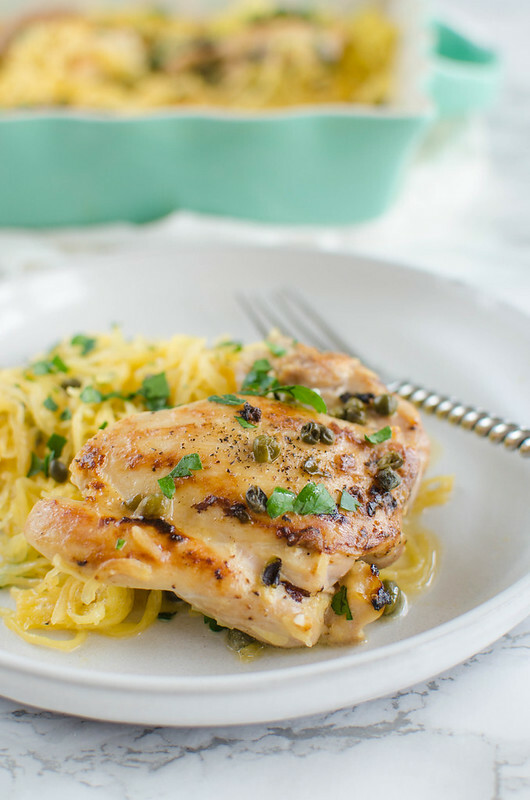 8 Responses to "Paleo Chicken Piccata"
Such a great healthier twist on a classic! Wonderful idea to meal prep it to make lunches for the week too. My family and I have really tried to eat “real” foods. This recipe is going right into the rotation! This looks perfect for my family! I can’t wait to try! So healthy! My family would love this! The perfect weeknight dinner!! 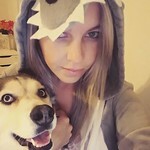 My family would really enjoy this!!! 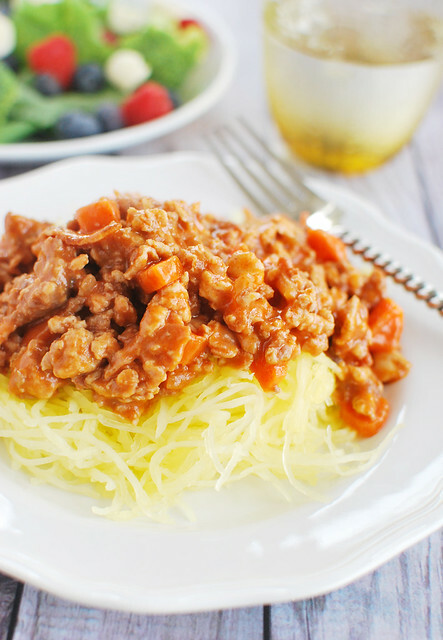 That looks delicious and I love spaghetti squash!